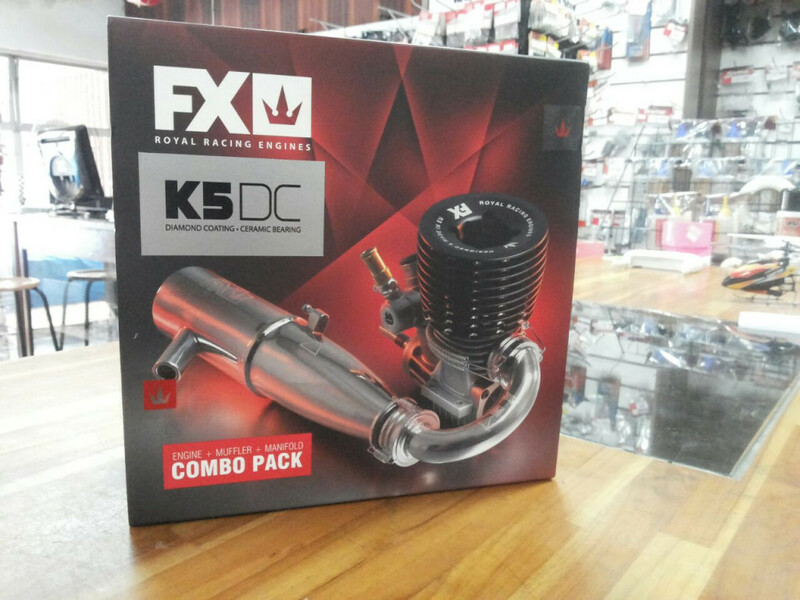 FX presents the new high-competition 1/8 off-road racing engine K5 DC. The new K5 engine is based on the ultra-successful 5K engine and brings all the refinements and improvements based on the experiences collected from the previous racing seasons resulting into European vice-Champion title. more linear power of the engine and plenty of other refinements of smallest details based on improved manufacturing processes. The new K5 comes in DC version which means it has DLC diamond coated crankshaft and high-precision German rear ceramic bearing and premium Japanese front bearing.